but has benefits for both the patient and caregiver. Mesothelioma is a particularly aggressive form of cancer that attacks the mesothelium. The mesothelium is a protective membrane that lines most of the body's internal organs such as the abdomen, lungs and heart. Over the last 50-60 years asbestos exposure has been one of the leading risk factors for and causes of mesothelioma. In fact, some estimate that over 70% of mesothelioma cases can be linked directly to asbestos exposure. Thousands of lawsuits have been filed against manufacturers of asbestos such as the Johns-Manville Corporation, resulting in millions in jury awards and settlements. While asbestos has been banned in the United States for many years 2000 cases of mesothelioma develop each year. This is in part due to the fact that mesothelioma often does not develop until 30 years or more after initial exposure. Sadly, for mesothelioma patient’s death often occurs within 4-12 months after diagnosis as it often is not diagnosed until it has already metastasized. The hardships that accompany a mesothelioma diagnosis does not only affect the patient but also deeply impacts the patient's mesothelioma caregiver. The symptoms of mesothelioma vary depending on the stage and the type of mesothelioma. The type of symptoms that the patient experiences impacts what type of care the patient needs. For example, some patients experience breathlessness, constipation, pain, night sweats, loss of appetite, weight loss, and fatigue. Any one of these symptoms make certain activities much more difficult for the patient to accomplish. A compassionate caregiver can significantly elevate the patient's quality of life by helping with various tasks throughout the day. Taking care of a patient with mesothelioma is exceeding generous and in the realm of heroic. However, it can also be exhausting both physically and emotionally. Caregiving involves not only taking care of the physical needs of the patient, it also can involve tending to financial and legal issues. In the earlier stages when the patient is feeling the effects of the disease but is still fairly independent, the patient may need assistance with such things as housekeeping, errands, and keeping doctor's appointments. Patients undergoing radiation treatment or chemotherapy will need someone to help them go to treatments and dealt with the affects of treatment such as fatigue and nausea. Furthermore, the caregiver may have to help with daily activities of living such as preparing meals, eating, bathing and dressing. No matter what stage the patient is in, the caregiver will need to provide emotional support-- acting not only as a caregiver but as a friend. It is also important that the patient's finances are properly tended to. 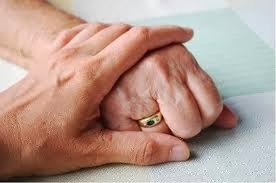 The caregiver, in consultation with the patient, should consider working with an estate planning attorney. An estate planning attorney can help make sure that the patient's financial affairs are in order. The patient should make sure that necessary estate planning documents are properly executed such as a will, trust, power of attorney, and an advanced healthcare directive. While the topic of estate planning can be difficult, it is important to ensure that the patient's desires both now and after he or she passes away are fulfilled. While being a caretaker to a mesothelioma patient, or to any patient suffering a devastating, debilitating illness, is difficult, there are also benefits for both the patient and the caregiver. The patient's physical, emotional, financial and legal needs will be taken care of. This will be a huge relief to the patient. The caregiver will receive a measure of satisfaction knowing that he or she contributed to ensuring that the patient was as comfortable as possible during the difficult last months, weeks, and days of his or her life. Oftentimes the person who ends up being a patient's primary caregiver is a family member who volunteers to fill that role. Should the person who helps the patient with medical care and everyday living activities also be the person who helps the patient with financial and legal tasks? About the Author:Joan Evans is a mental health specialist and has a great interest in personality disorders. She is also an advocate for Mesoethlioma Awareness in both her local and online community. In her spare time she likes to go to the woods with her golden retriever, Leroy, and write fiction.